These posts have now been filled. Watch out for next year! Our French twin town of Annecy has a number of interesting work placement opportunities available this summer for young people aged 18-30 from Cheltenham and local area. A summary of the positions available can be seen here. Most are for a 4 week duration. The posts are varied and in the past we have had students from Cheltenham in the Musee Chateau, the Department of International Relations and the Bureau info jeunesse. For full details of all the positions available please email the Twinning Officer. Students must be 18+ at the time of placement to be considered and have a good standard of French. This is a wonderful opportunity for students studying French at university. These opportunities have been sent to all of Annecy’s twin towns, so early application is advisable and after the end of March the positions are not reserved exclusively for young people from the twin towns. – 70 euros per week to buy food. 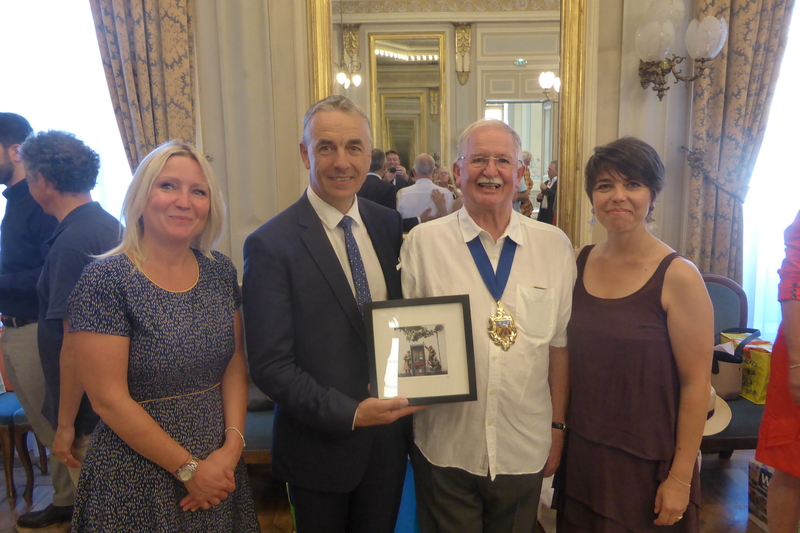 Four Blue Badge Tourist Guides, who regularly guide visitors around Cheltenham and the Cotswolds, were recently hosted by the Annecy Tourist guides. 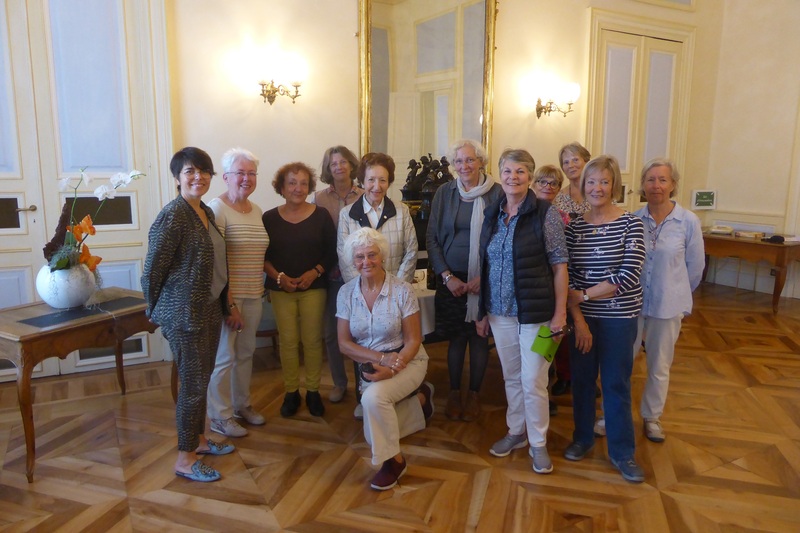 Jane Handoll, Mary Moxham, Kay Thorpe and Mary Badger were met by the President of the Annecy Tourist Guides Association, Anne Pellas and other members, who accompanied them on a full programme of visits and excursions, exploring the history and culture of Annecy and its environs in Haut-Savoie. 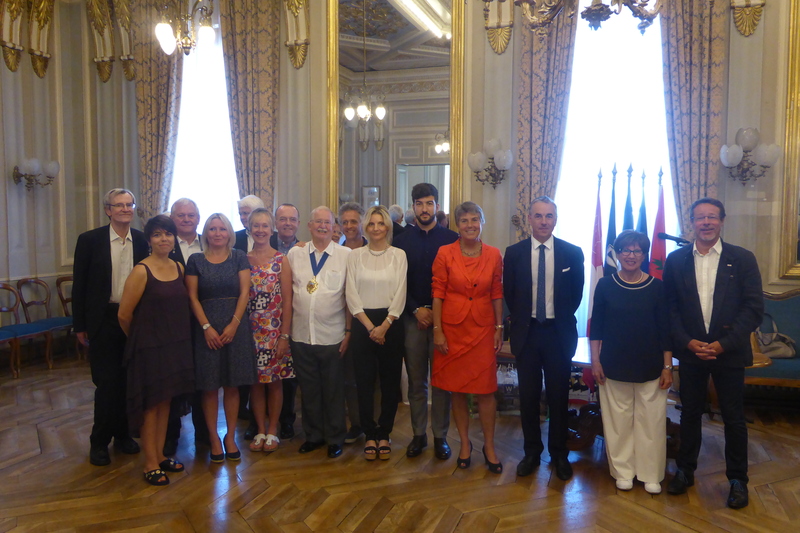 A reception at the Town Hall included a meeting with the deputy mayor Valerie Gonzo-Massol and colleague Laurent Terrier. The focus of discussion was the possibility of collaboration around the events of Heritage Open Days in early September. 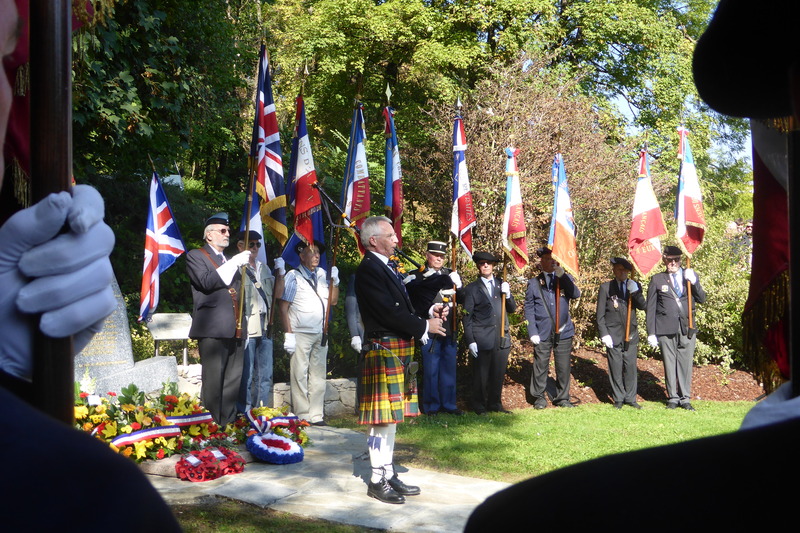 This festival is European wide, and it was suggested that Cheltenham’s festival could include exhibitions about the history and culture of Annecy, whilst a reciprocal exhibition would be mounted in Annecy focusing on Cheltenham. The guides also visited the restored Old Prison in the very centre of Annecy, and enjoyed a cruise on the lake, a guided walking tour of Annecy Old Town, a dinner offering traditional food of the region in a mountain restaurant, a visit to a cheese making farm at Les Aillons, a visit to the restored monastery at Chartreuse d’Aillons which included a fascinating guided tour, a lunch in a country restaurant, again offering traditional local produce, a short hike on the plateau of le Semnoz to enjoy the panoramic views, a visit to the Convent Basilica of the Visitation to view extraordinary stained glass windows. 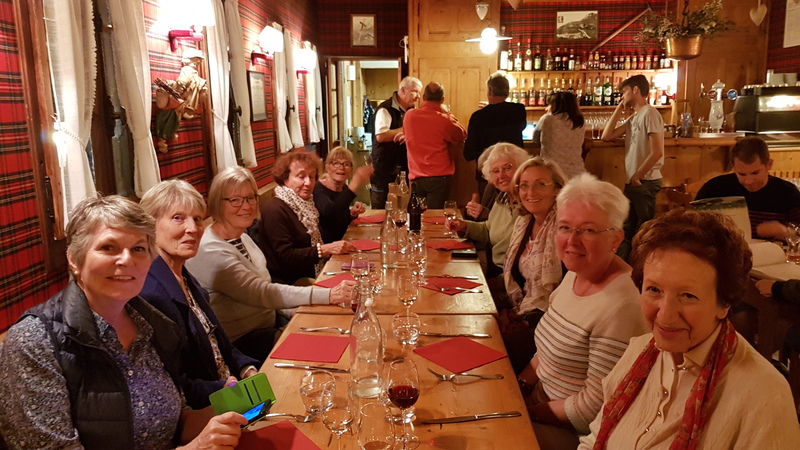 The day concluded with a very sociable fondue evening at the home of Odile Dauchez, one of the guides, where we were able to enjoy a slide show presentation of the groups’ visit to Cheltenham last October 2017. On our final morning, our host Anne Pellas took us back to the Old Prison, to view an exhibition on architecture and urbanism next to water. This gave us the opportunity to learn how the town has developed over the centuries, but also to focus on 20th and 21st century urban development of the town of Annecy and its environment. The long drought of recent months is clearly a source of concern for urban planners. Finally, a small group of guides came to the station to bid us farewell, after our action packed and thoroughly enjoyable stay in beautiful Annecy. 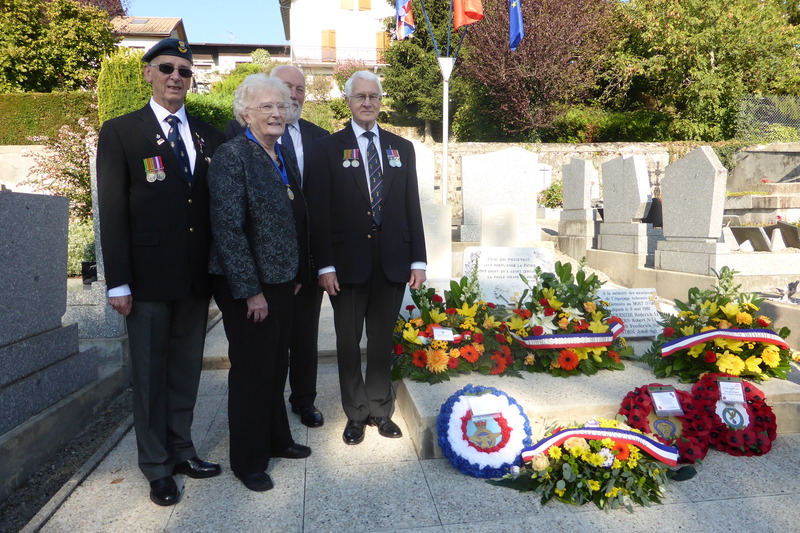 From 14-16 September a delegation from Cheltenham was invited to Annecy to commemorate the 75th anniversary of the crashing of a British bomber on the Pont de Tasset, near Annecy. 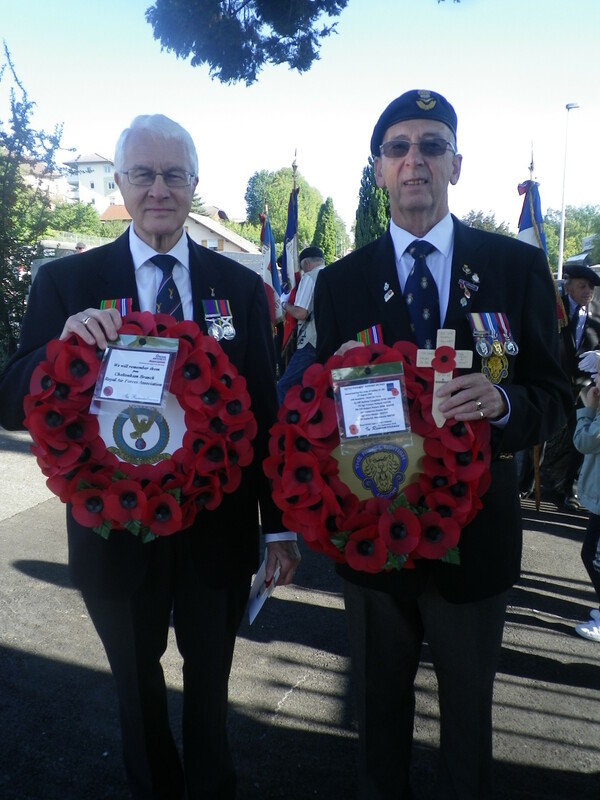 The delegation was led by the chair of Twinning and a former Mayor, together with representatives from the Cheltenham Branch of the Royal British Legion and Royal Air Force Association, who all laid wreaths on behalf of Cheltenham and its people in honour of the airmen of the RAF who lost their lives, and also in acknowledgement of the citizens of Annecy who died as a result of the crash. The resistance cemetery and memorials at the plateau des Glieres, where 125 members of the Resistance were killed by invading German forces, were also visited, as well as the Necropolis and resistance museum at Morette and the sites are a poignant reminder of some dark days in the shared history of Annecy and Cheltenham. 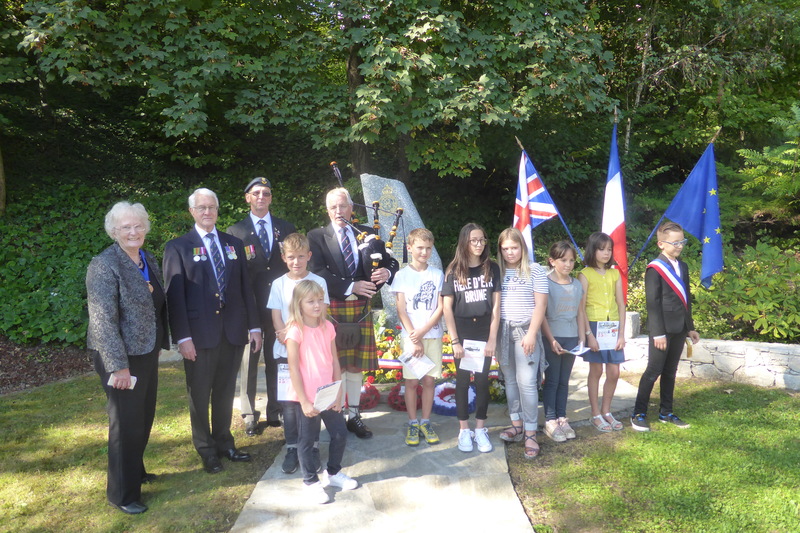 At the commemoration ceremonies young children participated in the laying of wreaths which was particularly moving and gives hope for the future. 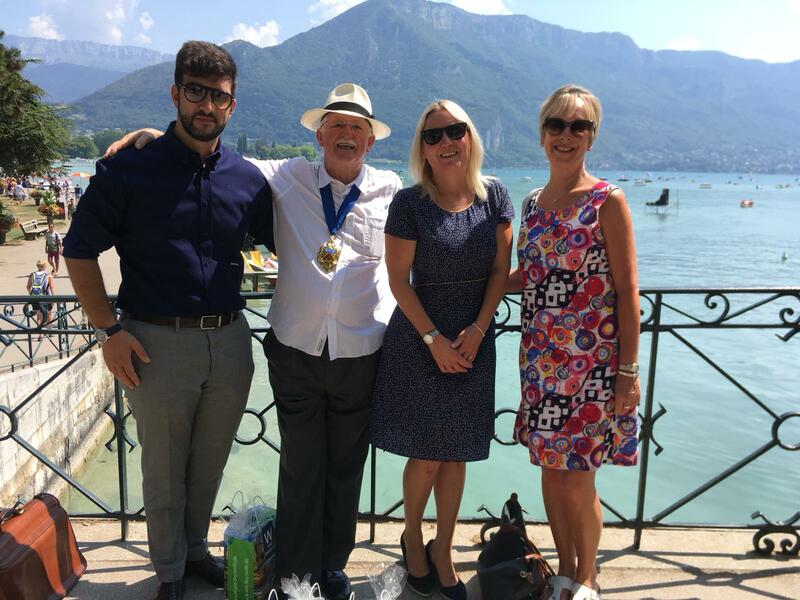 From 3-6 August 2018 a small delegation of 3 people accompanied the mayor to Annecy, when Annecy invited representatives from all of their twin towns for their annual Fete du Lac spectacle. Interesting talks, networking and forging new links were all hot on the agenda as the future of Europe and the importance of maintaining and further developing links with our European friends were all passionately discussed between Annecy, Bayreuth Germany, Vicenza Italy and Cheltenham. 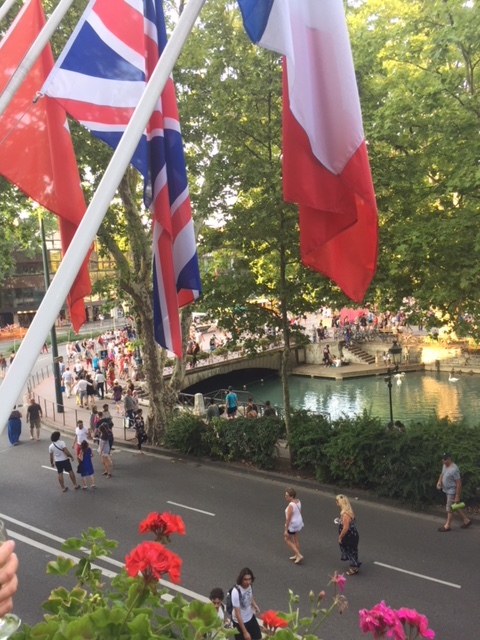 Two students from Annecy have been experiencing English working life and culture, whilst improving their language skills and being immersed in family life. For four weeks, Alexandra Carrez helped out in the Gardens Gallery in Montpellier Gardens, carried out a survey for the gallery and visited other galleries in and around Cheltenham; Lea Grondin was with the Community Investment team of Cheltenham Borough Homes and assisted with many community events and activities for local families. 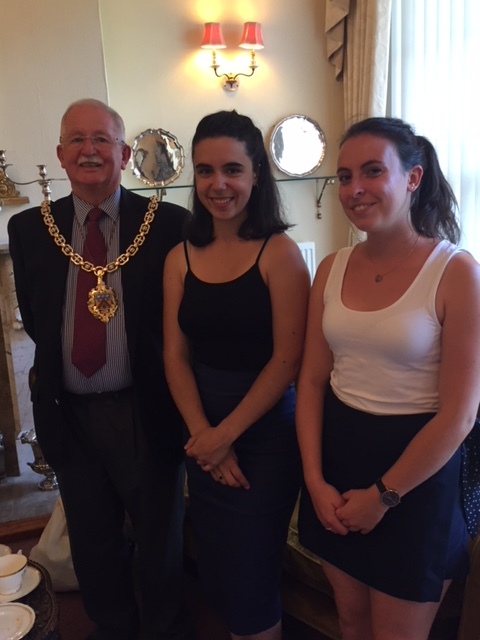 The girls also visited the Mayor’s Parlour for tea with the Mayor. Every summer Cheltenham sees an influx of students from its twin towns. 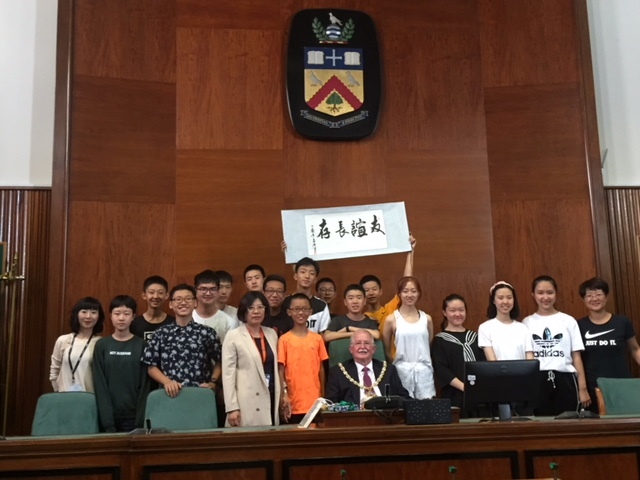 In July this year the Mayor welcomed 48 students from Annecy and 20 from Weihai. 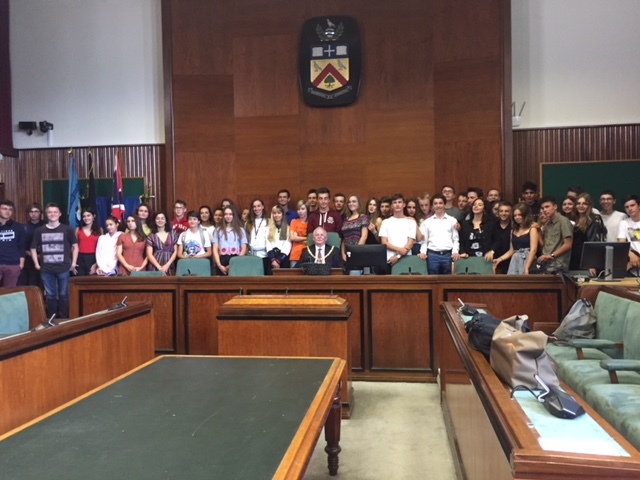 The students were all attending the international summer school run by Gloucestershire College, where they take part in language lessons, sporting and sightseeing activities and all stay with local host families. A group of 10 young people from Gottingen were also in Cheltenham from 26 July to 6 August on a sport and language visit. 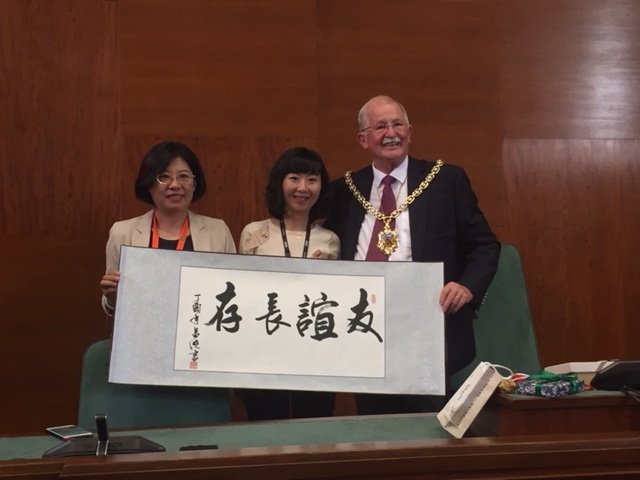 These visits give the young people a brilliant opportunity to experience family life with a British family and to gain confidence in speaking English. 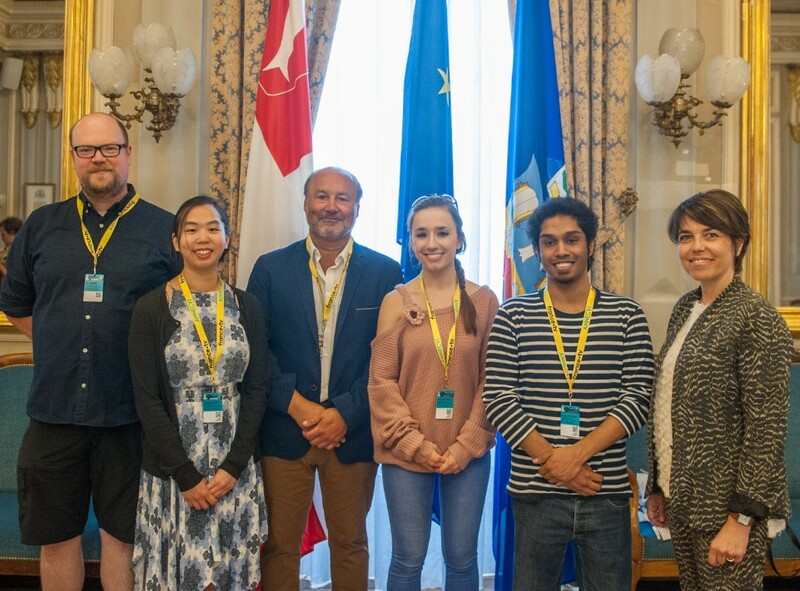 26 under-graduate students from the University of Gloucestershire’s animated film degree course visited Annecy from 11-15 June to coincide with the International Animated Film Festival held in Annecy every year. 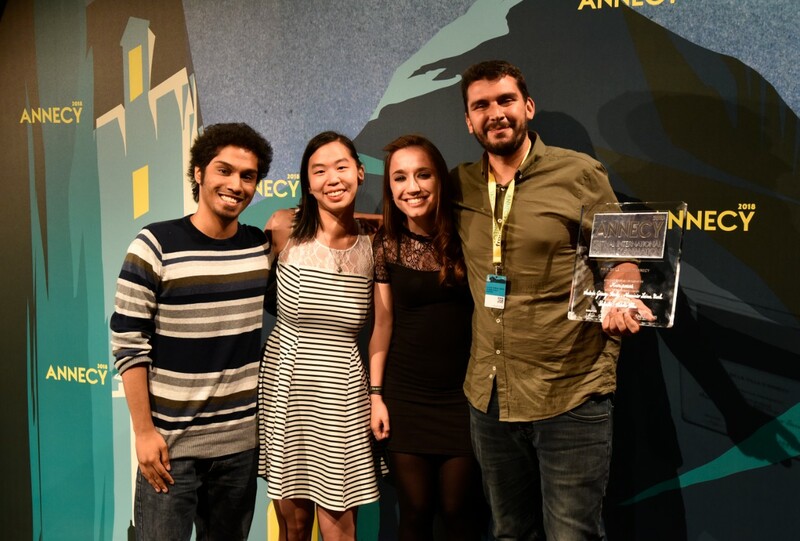 This is an invaluable learning opportunity for the students and 3 of the students were judges for a special prize awarded by the town of Annecy to young film directors from emerging countries. Very proud of our local young people being involved in this internationally acclaimed film festival.